Can't even think of it right now. Making sure all homework, summer reading, and projects are complete. catching up on some of my favorite magazines. Family photos used on the face of cabinet doors. Welcome back!! I am so glad that you enjoyed your vacation, I am wanting so bad to get back to Nantucket! I love this idea with the photos, how cool is that! I can't believe that summer is almost over. I hope the next weeks go smoothly for you! So pretty and so much personality. hi claudia!! good luck to your kiddos as they had back to school!!! you sounds like you had a wonderful summer! 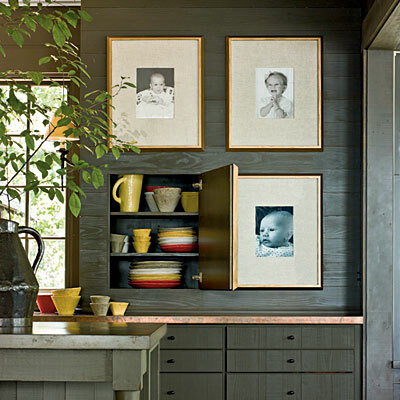 such a cute pic from southern living! !